Set amid 7,500 acres of forested estate and well hidden from public view near the small town of Dornoch, Skibo Castle deserves its reputation as one of the most exclusive hotels in the world, but, is also one of the most welcoming. The castle dates back to the 12th century, the present structure is largely of the 19th century, and early 20th century, when it was the home of industrialist Andrew Carnegie. It is now operated as the Carnegie Club, a members-only hotel and country club with around 400 members. Skibo is famed for hosting Madonna’s wedding and has plenty more to boast about. 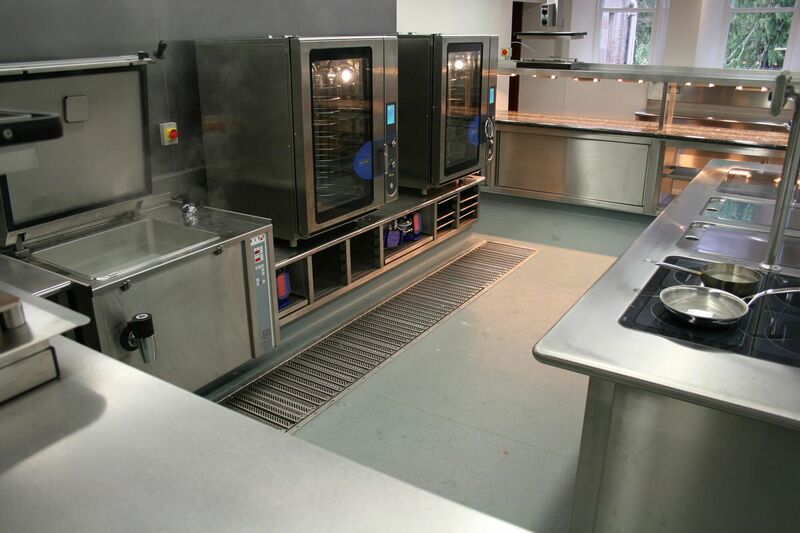 Our brief was to supply a catering facility to match the prestigious Castle location and to cope with the high quality and exacting standards of the food required. 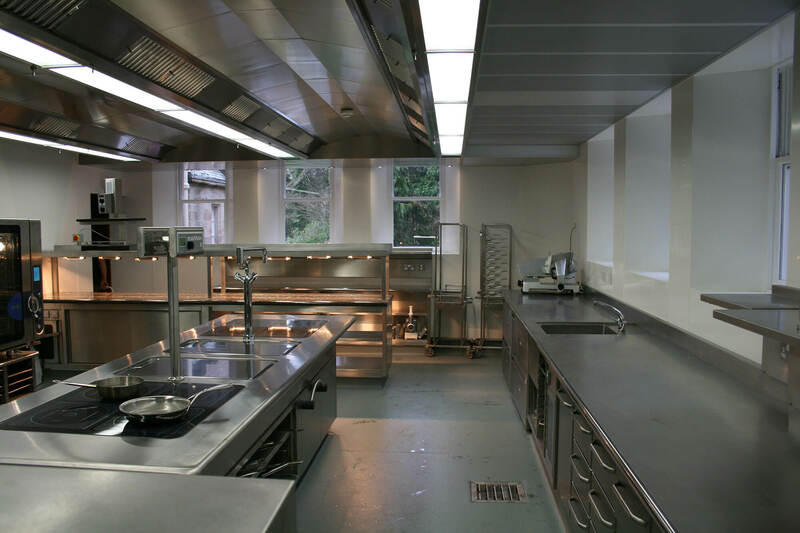 With this in mind the design demanded one piece sleek central cooking and seamless fabrication coupled with the smooth lines of a ventilated ceiling. 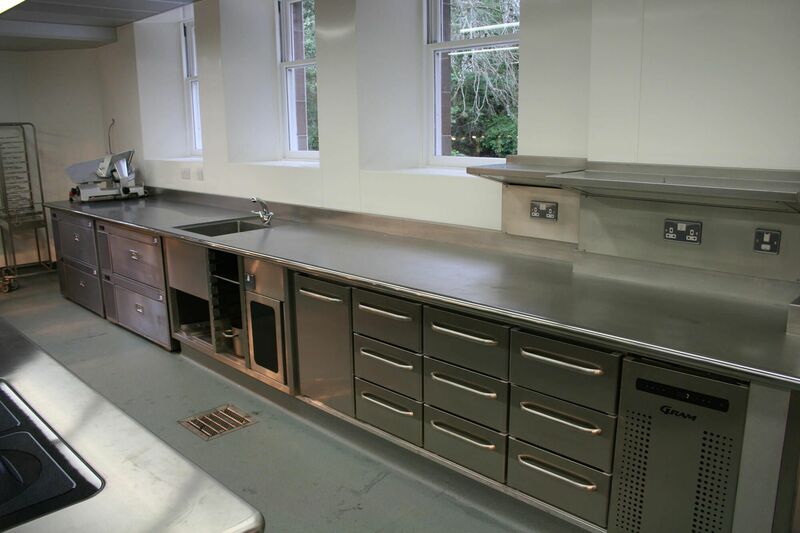 The result is a clean clear Kitchen enabling the team of Chefs to produce remarkable food for a demanding cliental. 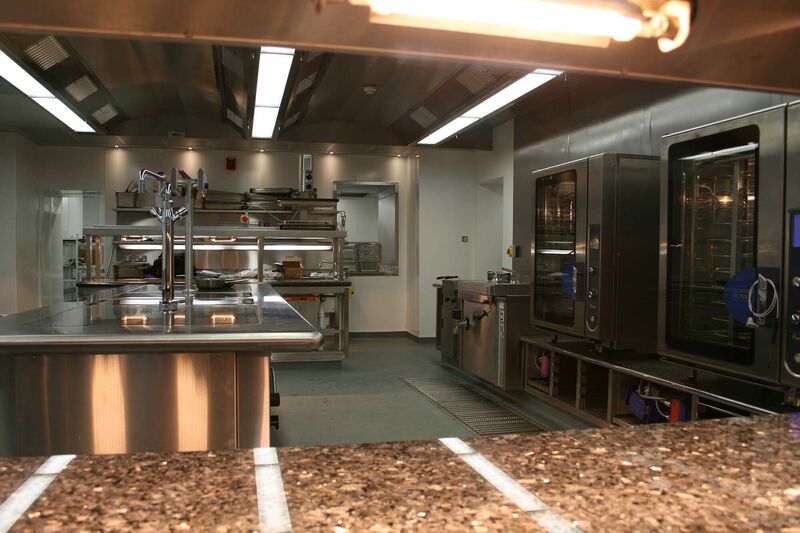 Equipment supplied included Elro Induction Central Island & Salamander Grill, 2 Bonnet Combination Ovens, Bonnet Bratt Pan, Valentine fryers, Meiko Pass through Dishwasher, Stellex fabrication, Wimbock Ventilated Ceiling, Foster Cold/Freezer Rooms & Williams refrigerated Counters.